In my paternal grandparents’ house, there was no such thing as spring cleaning. There was all-the-time cleaning, every day God sent. When I was on summer break in elementary school, I stayed with my grandparents while my parents were at work. Most days, after my grandfather left for his janitorial job, my grandmother and I remained in that little ranch house in Tallahassee. After a breakfast of scrambled eggs, a hot dog (split down the middle, pan-fried until its edges were crisp) and cups of coffee (nobody worried about giving coffee to kids back then), we began our daily chores. Listen to Rosalind Bentley’s talk, “Radical Hospitality,” from our 2018 Winter Symposium. Photo by Bita Honarvar. I sprayed lemon Pledge onto a rag until the foam mounded on the cloth. First, I slicked down the old clock case in the dining room. Its pendulum, gears, and face were long gone. All that was left was the mahogany carcass, yet it was a prized possession, a piece my grandfather salvaged before a former employer threw it away. Once the clock body was shiny inside and out, the china cabinet was next. 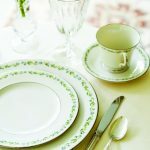 I took out each plate, each delicate figurine, a sugar and creamer set, and a teacup and saucer in radiant hues of lilac and butter, then polished each shelf, top and bottom. Everything in there was for show. The glass-front doors were washed until the panes were invisible. I dusted each item, including a child’s tea set adorned with painted deep pink roses. Playing with it was out of the question, despite my periodic pleas and promises to be really careful. Like the clock case, some of the pieces were surely castoffs. My grandparents never had money for decorative frills. My grandmother stopped vacuuming long enough to inspect what I’d done—every inch, every nook, every cranny. Her seal of approval was a soft smile that crept across her slender, high-cheekboned face, a slow nod, and an “um-hmm.” Then it was on to the living room. The house couldn’t have been more than 1,000 square feet, but for me, at eight or nine years old, it seemed the work would never end. After Grandmama passed away and I bought my first house in the mid-1990s, I continued to clean furiously, often on my knees, until everything sparkled, especially the toilets. One day, I stopped to wonder why I was scouring to a point of obsession. No one lived in my house but me. Why was I mopping the kitchen floor with soapy water first, then swabbing it with plain water, repeating the last step until the liquid in the bucket looked clear enough to drink? Of course, I had slovenly lapses along the way, but I always returned to the rituals of my grandparents’ house. I loved the way my baseboards gleamed after wiping them down; how the scent of lemon oil lingered after I finished my ministrations to the dressers and nightstands. Then it dawned on me: My grandmother had worked much of her life as a domestic. I was cleaning my house the way she taught me—the way she had been made to clean the homes of the white people she worked for. My countertops, spotless and bright, reflected the subordination she endured. Unlike my mother’s side of the family, who farmed their own land in the Florida Panhandle after Reconstruction and lived as much as they could apart from white people, my father’s people followed a different trajectory. After Emancipation they stayed on plantations on the Florida side of the Florida-Georgia border, land that became quail-hunting grounds for America’s wealthiest families: the Whitneys, the Vanderbilts, the Hannas. Foshalee Plantation, as it came to be called in the early 1900s, is where my paternal family worked. Their decision wasn’t an anomaly. Though six million African Americans followed the Great Migration north and west in the early twentieth century, millions remained behind. 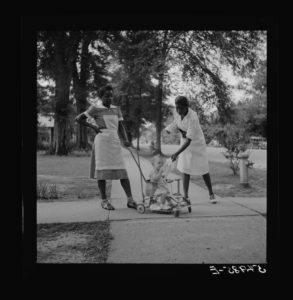 Farmhand, domestic, or, for those lucky enough to get an education, maybe a “colored” school teacher: Those were the options open to most black women of my grandmother’s era in the South. Her education stopped at the eighth grade. I still have her diploma. After marrying my grandfather, she began her career at Foshalee as a domestic. She surely learned how to do the work as a child. I don’t believe her primary job was cook, even though she taught me to how to beat cake batter by hand and thought dishwashing machines were silly. She ironed shirts and sheets with a brew of Argo starch and water, until the cotton was luminous like porcelain and soft as down. Given those skills, I believe those are the jobs she was responsible for while she was “in service.” That is the term older people used to described domestic employment. It was a discreet phrase, usually spoken a little lower than the words that preceded it in a sentence. “She works in service.” The inflection held ground between shame and dignity. It was honest work. It provided. But the pay was low. In the 1940s, domestic workers could make as little as $3.50 a week. For workers like my grandparents, building wealth to pass down was tough. I spoke recently with Tera W. Hunter, a history professor at Princeton. Hunter’s book, To ’Joy My Freedom: Southern Black Women’s Lives and Labors After the Civil War, documents the 1881 Atlanta laundress strike, in which African American women demanded fair wages for washing other people’s dirty laundry. Laundry was some of the least desirable work. It required handling fabric soiled by strangers in the most intimate ways. It was also laborious, especially before the advent of electric washing machines and dryers. There was no shame in the task or in any sort of household vocation, Hunter said. But the diminishment of a domestic worker by an employer could take many forms: giving her a bag full of cast-off clothes rather than cash as payment for a week’s work; hovering over her as she cooked or cleaned. Calling a domestic by her first name without the respect of an honorific was standard practice. The enslaved learned silence as a survival tactic. They passed it down to subsequent generations like a gene. My grandmother never talked about her work. For a short time, she held a job at the Florida Governor’s Mansion, where one of her in-laws also worked in service. I remember asking her about her time there, excited that she’d worked in such a supposedly prestigious residence. She shut me down without skipping a beat. “No, un-uh, hush,” she’d said. I knew better than to press her. Silence was a common decision among Grandmama’s generation of domestics, Premilla Nadasen told me recently. 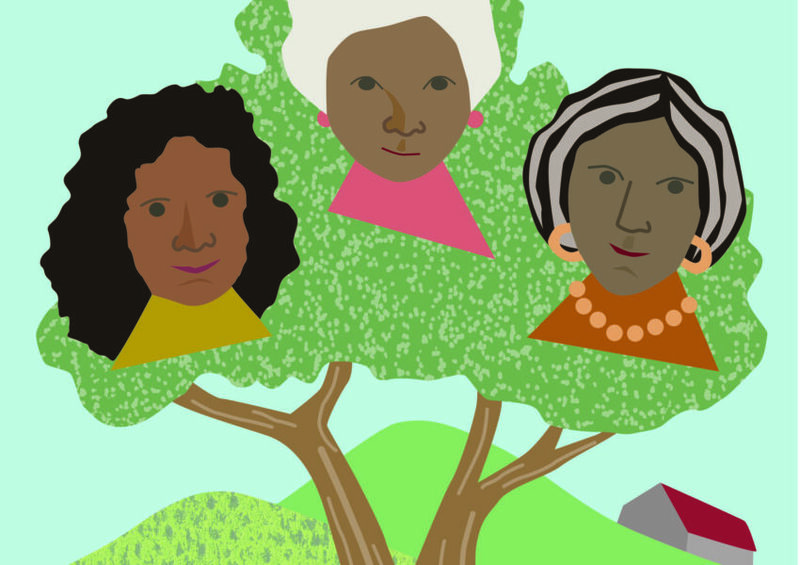 A history professor at Barnard College, Nadasen wrote Household Workers Unite: The Untold Story of African American Women Who Built a Movement. Now she’s working on a project called We Dream in Black, to help organize Southern African American domestic workers. Cleaning someone else’s home, especially when the lady of the house was present, required an invisible mask, Nadasen told me. The ability to cloak exhaustion, disdain, or worry was part of a maid’s tool kit. Their livelihoods depended on the ability to have a “public face” and a “private face.” So they were reluctant to talk about what they endured day in and day out, Nadasen said. 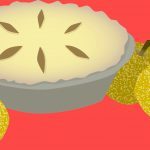 In “The Sanctum of a Bloom,” Roz Bentley reflects on her mother’s sand-pear pie. And as it had been in slavery, predation was a constant danger. Domestics often worked in isolation inside homes. No one was charged with protecting them, and if they were assaulted, who would believe them? Dorothy Bolden, who founded the influential National Domestic Workers Union of America (NDWUA) in 1968 in Atlanta, spoke in a 1978 interview about the way the husbands of some of the women she worked for treated her. How the men would touch her buttocks as she worked in their families’ kitchens. 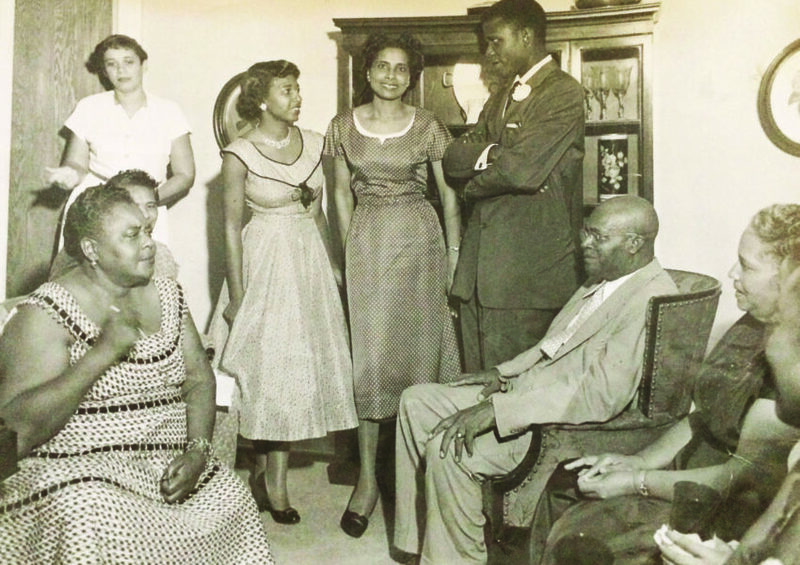 “A lot of things went on in those days that a lot of maids wouldn’t dare to talk about,” Bolden said. Descendants like me, who want to understand why we do what we do, must rely on scraps of oral history or glean what we can from the public records of our ancestors’ employers. My mother told me that Grandmama continued to do domestic work after she and my grandfather moved to Tallahassee. She got a job in the household of Guy and Ada Belle Winthrop. The Winthrops lived in a Victorian confection along one of the city’s main streets. Ada Belle Patrick Winthrop taught French in the 1920s and 1930s at the women’s college that would become Florida State University. Guy Winthrop descended from one of Leon County’s largest slaveholding families. A real estate titan, he developed the plantation he inherited into a prestigious subdivision called Betton Hills. It was closed to black people except as a place to work—and to die. Enslaved African Americans, and later emancipated ones who continued to work on the old plantation, were buried in a cemetery on land that became part of Winthrop’s development. Remnants of the graveyard brush the north end of the neighborhood park. Burials went on until the 1940s. A state historical marker and a few headstones tell the story of black lives spent making fortunes they’d never share. As far as my mother remembers, my grandmother never said how much money she made a week. It could not have been much. In the late 1960s and early 1970s, organizations were forged that fought for fair wages and better working conditions for domestics. Bolden’s NDWUA and the Household Technicians of America were a couple. They came too late for my grandmother. By then, she was deep into middle age and had stopped working full-time in white homes. Her eyesight was beginning to fail. Grandmama was proud of her home. In it, she taught me skills she hoped I’d never use for anyone but my own family. She showed me what her life in service had been like without telling the tale. Rosalind Bentley is an SFA Smith Fellow and a senior writer at the Atlanta Journal-Constitution. Follow her on Twitter @rozrbentley. 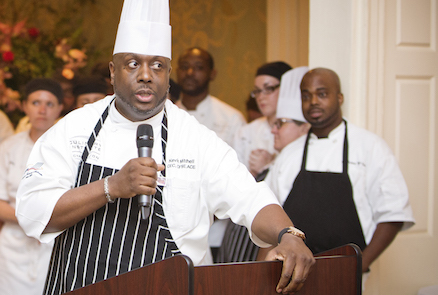 Peek into the research of chef Kevin Mitchell, of Charleston, who earned his Southern Studies MA in Spring 2018.